Transit Agency Best Practices: Interview with Sacramento Regional Transit – ELERTS Corp.
ELERTS works with over 15 transit agencies throughout North America. While each agency has unique ways to promote their individual apps, we celebrate their efforts and share best practices to help all of our customers increase downloads and engage riders to increase safety. Today, we interviewed Lisa Hinz, Chief of Police Services at the Sacramento Police Department. Lisa directs all of SacRT’s Police Services including Contracted Police, Fare Inspection by SacRT inspection staff and the Security Operations Center (video surveillance). She also oversees SacRT’s Safety department and was instrumental in helping to launch the Alert SacRT app, developed by ELERTS. Today, Lisa gives us more insight into her work at SaCRT, the decision to offer riders the Alert SacRT Safety & Security App and how she and her team help keep Sacramento citizens safe. ELERTS: What is your title and job? 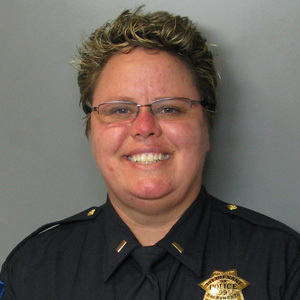 LH: I’m Lieutenant Lisa Hinz with the Sacramento Police Department. I am currently on assignment to the Sacramento Regional Transit District under a contract with the Sacramento Police Department. My title with SacRT is Chief of Police Services. ELERTS: How long have you been with SacRT? ELERTS: What do you enjoy most about your job? LH: The one aspect I enjoy most about working with SacRT is the terrific people who are all connected by their desire to provide exceptional customer service. As an organization, we are committed to going above and beyond the call of duty and together we are creating a culture where customer service is the top priority in all that we do. It’s extremely fulfilling. ELERTS: SacRT is quite innovative with technology – what made you decide to offer riders the Alert SacRT Safety & Security App? LH: We wanted to provide a way for our customers to be able to communicate with SacRT Police Services in a manner that they felt safe and comfortable. Alert SacRT makes it easy for passengers to communicate with anonymity, because they can send video, pictures and texts to convey their message. It also allows passengers to safely get involved and be the eyes and ears of the system, without having to make a phone call to report an issue while standing next to the offending passenger. Best of all, the app allows passengers to communicate directly with police services which provides a sense of confidence and security to customers while they are traveling on our light rail service. ELERTS: Your communications team also does a great job with customer communications and social media, such as your Transit Talk online chat, rider alerts and video promotions. Why is it important to engage riders during times like this? How has it been received? LH: Our customers are very supportive of the Alert SacRT app and appreciate all communication that helps them travel about the transit system efficiently. On occasion, the service may experience a disruption and we have found Alert SacRT is an excellent communications tool. The SOC staff is in constant contact with light rail operations and when a service disruption occurs, the AlertSacRT app is the vehicle we use to communicate rider alerts. ELERTS: What do you think riders want most out of a transit, besides the obvious A to B transportation? LH: SacRT’s motto is Safe, Clean and Convenient. These may be three simple words, but they are the backbone of SacRT’s commitment to its customers. We are proud to say we provide service that is reflective of our agency’s values. ELERTS: What do you see as the #1 priority for transit agencies today? LH: Customer service is SacRT’s #1 priority. Whether you’re a customer service representative, a bus or rail operator or the general manager, the message is the same; SacRT is dedicated to providing exceptional customer service. ELERTS: What are you most proud of at SacRT? LH: I am most proud of the amazing employees that we have working for SacRT’s Police Services. They are tremendous team players who have a heart for our customers and work every day to employ community based policing strategies. ELERTS: How does SaCRT work with other police entities to keep Sacramento citizens safe? LH: SacRT is unique in that they contract their police agency. We have officers from Sacramento PD, Sacramento Sheriff, Folsom PD and Rancho Cordova PD. This allows us to seamlessly communicate, while fostering strong working relationships. We also share information quickly to make the transit system as safe as possible. ELERTS: What keeps you up at night? LH: I care very much for each member of my team. Being a sworn officer has a certain level of inherent danger associated with it. I’m fearful that one of my officers or agents will be injured in the line of duty. This may sound harsh, but it does happen, and it affects all of us when one of our own is hurt by a bad guy. ELERTS: What is your #1 piece of advice be to someone wanting to join the transit police? LH: You have to love people. It is the best community oriented policing job there is. ELERTS: What do you think is the most interesting development in transit in the last 5-10 years? LH: Electric vehicles are transforming the transit industry as we speak, but the invention of autonomous vehicles has the potential to revolutionize the industry in the years to come.